Despite efforts to address extremism, various violent radical groups in Afghanistan appear to have no issue accessing a pool of sympathizers and potential recruits, given that radical ideologies and views are widespread among different strata of the society. There are a number of other networks and organisations operating in the country, which may espouse similar extreme ideologies but are not linked to violence. 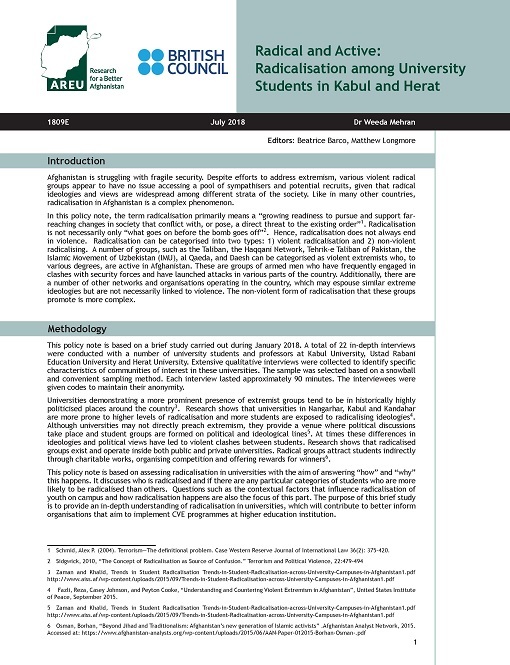 This policy note focuses on movements of radicalization among University students in Herat and Kabul. Politics over evidence: questioning the link between service deliver and state legitimacy in Afghanistan. 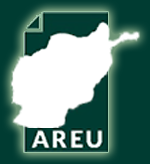 AREU Welcomes its New Director "Dr. Orzala Ashraf Nemat"